A jacket style escape set that is designed for ease of donning, which in turn allows the user a rapid exit. 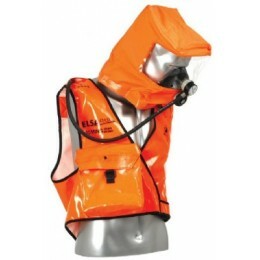 High visibility flame retardant hood that provides optimal vision and can be worn over spectacles and long hair. This Hi-Viz unit is supplied with a 15 Minute Cylinder.